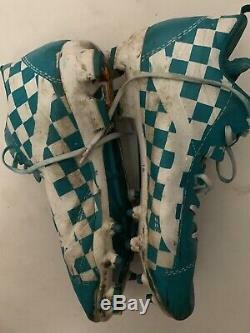 #10 KENNY STILLS MIAMI DOLPHINS GAME USED SIGNED CUSTOM CLEATS COA. (born April 22, 1992) is an American football wide receiver for the Miami Dolphins of the National Football League (NFL). He played college football at Oklahoma. He was drafted by the New Orleans Saints in the fifth round of the 2013 NFL Draft. April 22, 1992 (age 26). 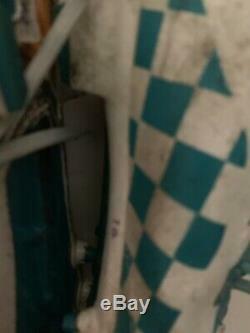 6 ft 1 in (1.85 m). 2013 / Round: 5 / Pick: 144. Career NFL statistics as of 2018. 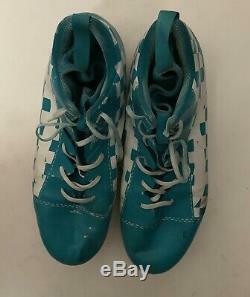 The item "#10 KENNY STILLS MIAMI DOLPHINS GAME USED SIGNED CUSTOM CLEATS COA" is in sale since Saturday, March 16, 2019.